Adidas continues to bring us more renditions of their new adidas ESM Energy Boost. Ever since we saw Kanye West rocking an all-white pair, sneakerheads have been going crazy over this sneaker. The newest colorway releasing is the adidas ESM Energy Boost “White/Signal Green." The adidas ESM Energy Boost “White/Signal Green” is a clean rendition of the sneaker perfect for Summer. 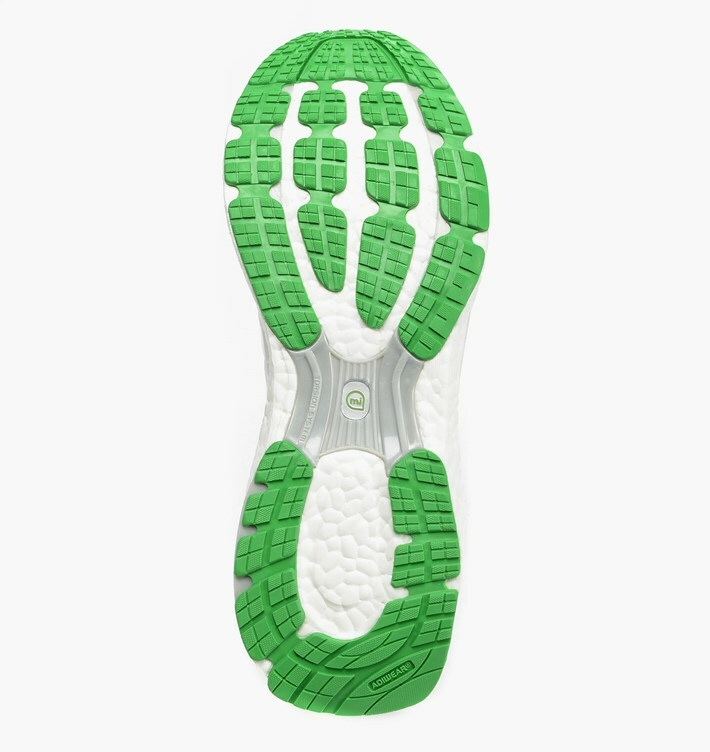 The upper is completely made up of a white color scheme with signal green on the tongue, insole, heel, and outsole. The comfortable Boost sole will have you rocking these babies all Summer long. Available overseas at select retailers like , stay tuned to SneakerShouts as we keep you updated with a stateside release!